My tuner is Skystar S2. I tried both 32 and 64bit versions of ProgDVB but it couldn't recognize my tuner. It recognize with the BDA drivers but BDA drivers don't operate good with Win10. It slows down the PC and crashes much. Even 1 transponder search takes at least 1 minute to be done. You must install software from CD for WDM working. Prog wrote: You must install software from CD for WDM working. WDM drivers on CD doesn't work too, i tried. 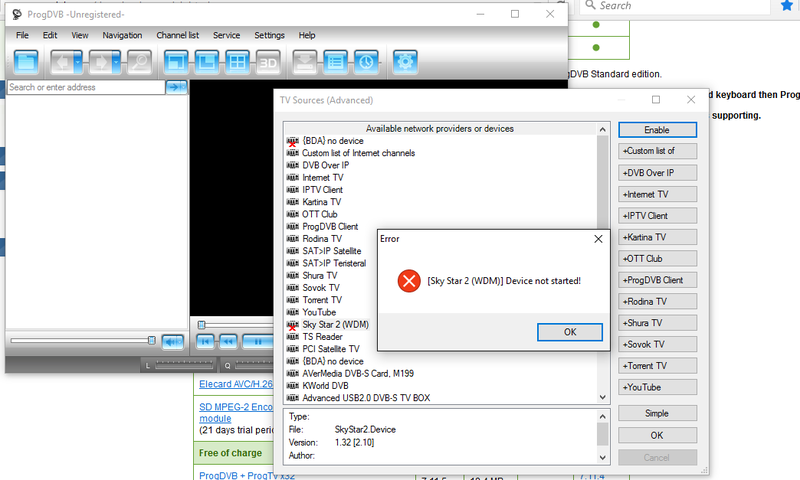 ProgDVB must to be updated for Skystar tuners.